Are you looking to find peace in God's pauses and plans? Check out this new book from Wendy Pope! To purchase your copy of Wait and See, click here. Looking to join a Bible study? 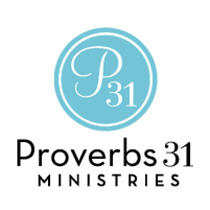 The ladies at Proverbs 31 Ministries offer real hope for real life with their online Bible studies. Click here to sign up for the Wait and See OBS today.